The Norns are a set of three Algorithm Based Assets issued on the Bitshares platform. 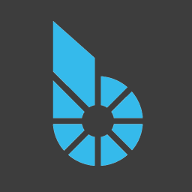 They use Bitshares as collateral, reference an oscillating quantity of Bitshares, are 120 degrees offset from one another and have an approximate amplitude of 5.303% over a 28 day period. If anyone else is interested in publishing price feeds for these 3 new Algorithm Based Assets, please reply below and I'll update the settings to allow this. Update: Sorry for the inconvenience caused to price feed producers, but I've reduced the amplitude due to a previous miscalculation. It's now configured with an amplitude of 5.303030303. Excellent article and wow this is a really good usage of Bitshares smartcoins! Reference price feed script has been updated with additional full node urls, the price feed script was getting stuck on a server's 503 error prompt. I've also added some debugging info to the readme. The private price feed publisher list has been updated to include several more Bitshares witnesses, participation would be massively appreciated.